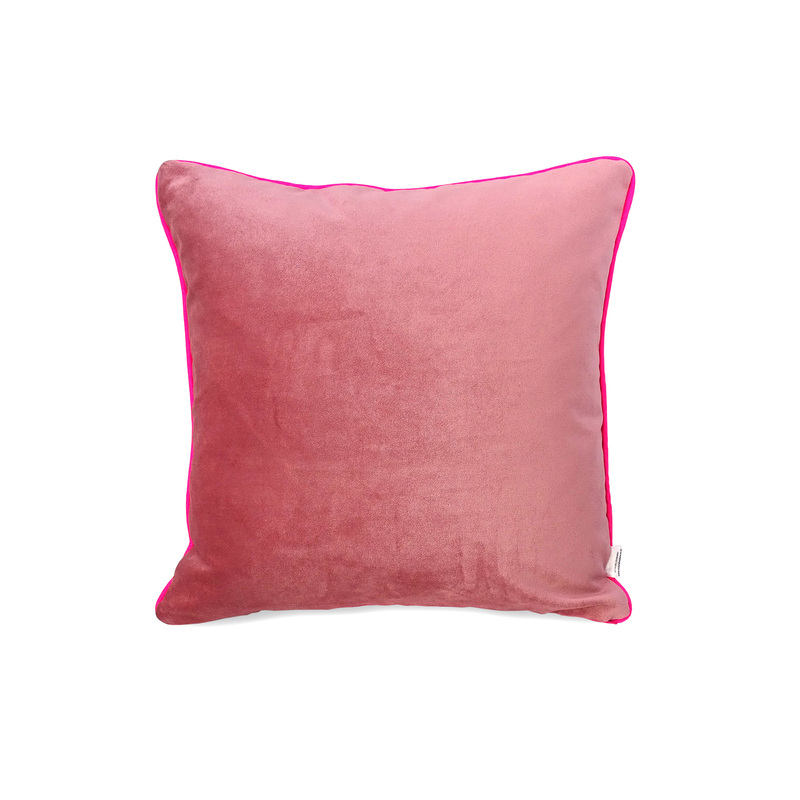 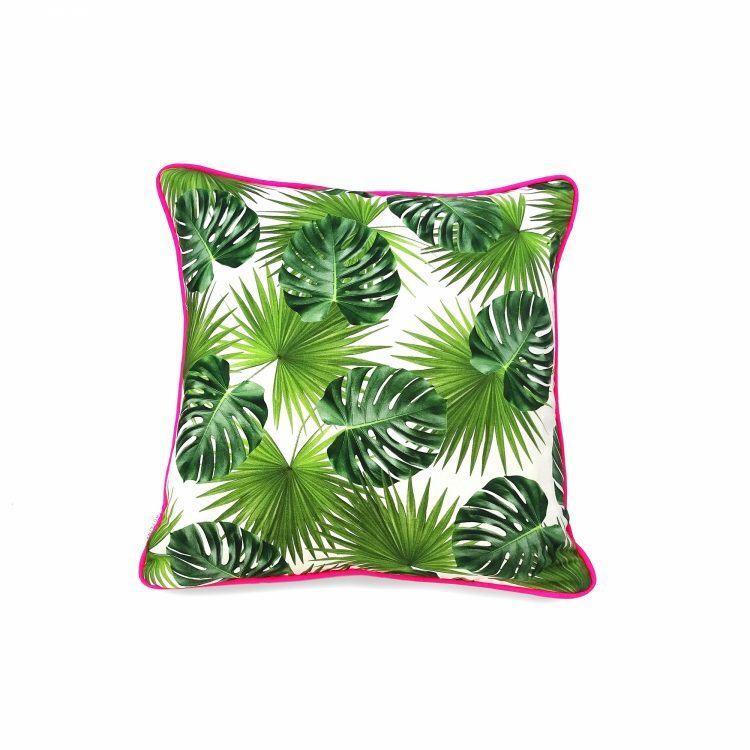 This vibrant and bright tropical leaf leaf print cushion cover features beautiful blush pink velvet back and neon pink piping and will fit a 50x50cm cushion pad. 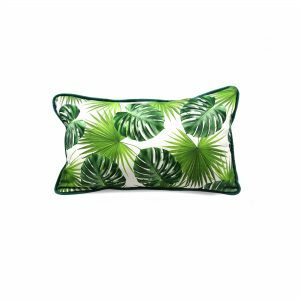 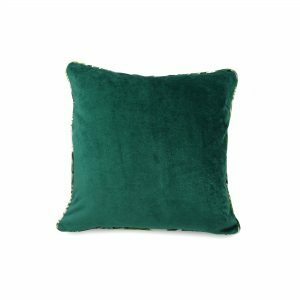 Palm leaf prints are hugely popular so get involved in the jungle trend with this stunning pillow which is sure to brighten up any room. 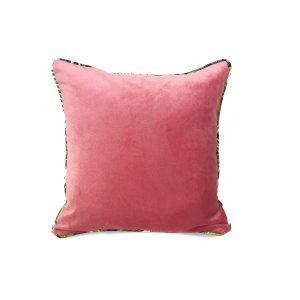 It has a zipper at the bottom and are suitable for hand washing. 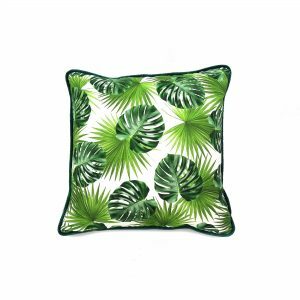 All of my cushion covers are handmade to order in my Edinburgh studio. 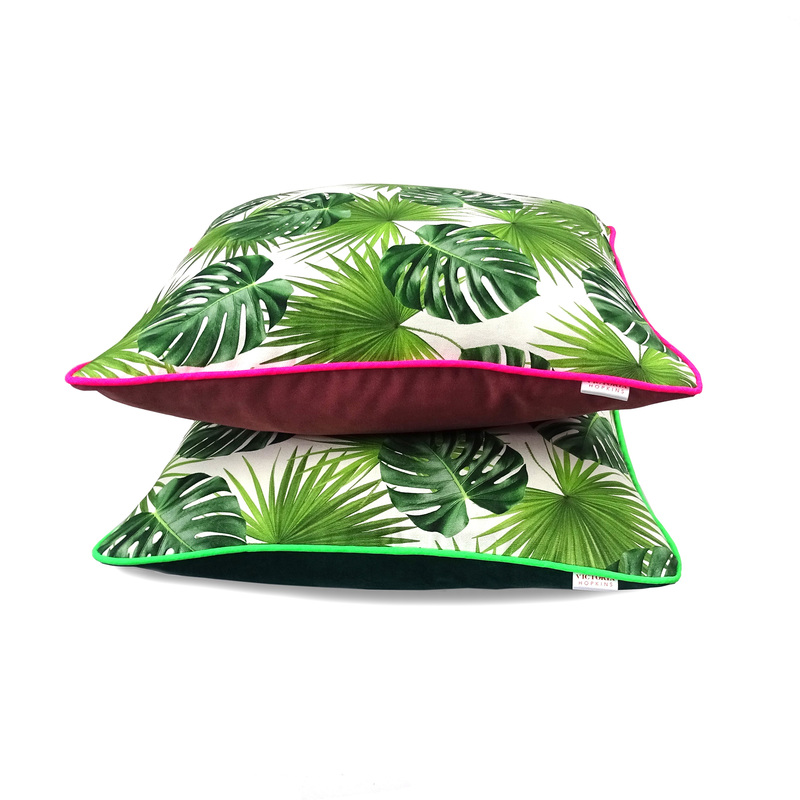 I can create different colours and sizes so please get in touch if you want a custom order. The cushion covers usually take 2-3 weeks to be ready. If you need yours quicker please get in touch and I will do my best to accommodate!